“They Don’t Care About Us - A Tribute to Michael Jackson.” New Remix and Music Video by Clinark. Clinark's new EP and music video to be released, featuring ”Thrill The World London,” dance organisation, Michael Jackson tribute dancer, Elena Romanenkova and cameo from, Callum 'Mitch' Jackson. Reggae singer, Clinark is set to release a new EP, “They Don’t Care About Us - A Tribute to Michael Jackson.” and music video on 26 February 2013. It is a new Remix of his previous cover.The track features a new Dub and an instrumental versions. It will be available on digital download on his Nurture Projects Music label on iTunes, Amazon and many online stores. 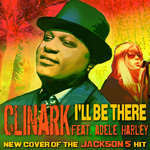 Clinark, (pronounced Klin_ark) achieved prominence for his album “Tribute to Michael Jackson - A Legend and a Warrior,” (2010).This included the previously released single “I’ll Be There.” It was released just 4 days before Jackson’s death in June 2009. The choice of the remixed single ‘They Don’t Care About Us, was made because it was the most popular song on his Tribute album. The album was nominated in Best British Album category by the British Reggae Industry Awards(BRIA). Clinark was also nominated for Best British Newcomer. The long awaited music video will also be premiered on Nurture’s YouTube Channel. The video was directed and produced by Chris Cargill of D.O.F 4:13 Productions. Clinark has previously worked with this team on earlier video projects including;"I'll Be There" and "Life in the Ghetto." The main choreographer was The Boogie Woman, from ”Thrill The World London,” the dance organisation which hosts the worldwide simultaneous dance of Michael Jackson’s “Thriller.” She also directed some of the scenes in the video. Her dance troop of children and young adults were filmed on location at the Kilburn Festival, London (2012). Look out for the captivating guest appearance of Elena Romanenkova, Michael Jackson tribute dancer and impersonator. She also choreographed and directed her own scenes on location in the Ukraine. Musician/singer, Callum 'Mitch' Jackson makes a cameo appearance in the video as guitar player alongside Clinark. This new release follows on from Clinark’s last single “Babylon City (2012). It was his self-penned message for the youth about the previous riots in nearby Tottenham. He was born in Bermuda, where he was in a series of successful Reggae bands. He now resides in Edmonton, North London. Clinark voiced and produced the re-mixed tracks at Blue Pro Studios in London, UK, working with Engineer, John Webber, . His first cover of this song was recorded at Stingray’s “Big House” Studio in London in 2010. The credits are as follows for “They Don’t Care About Us - A Tribute to Michael Jackson:”Executive Producer: Clinark (C.DILL) NURTURE PROJECTS MUSIC. Lead Vocal: Clinark / Bass: Leroy "Mafia" Heywood / Drums: Dave "Fluxy" Heywood / Lead & Rhythm Guitar: Stanley Andrew / B. Vocals: Barbara Nap & C.Dill / Engineer: Carlton "Dillie" McLeod / The original single was released in 1996 from Michael Jackson’s Album: HIStory :Past Present and Future, Book 1.This is the original publishing information; MICHAEL JOE JACKSON MIJAC MUSIC, WARNER-TAMERLANE PUBLISHING CO, WARNER/CHAPPELL, NORTH AMERICA LIMITED. Fans can see Clinark make a rare appearance at The unveiling of the 2.1 m high statue of Michael Jackson on 11 May 2013, in Mistelbach Austria. Promo copies of “They Don’t Care About Us - A Tribute to Michael Jackson - Remix,” can be obtained by request. Please email:media@clinark.com.